Today you need to be sure that your business functions at optimum levels, supporting your business needs and maximizing the return on your investment. Businesses are so dependent on IT that any disruption in service continuity costs money. Full network protection also comes at a huge cost for an organization. This is not only because of the required investment in the equipment, but also due to the need to create a separate department and employ appropriately qualified specialists. Most enterprises simply cannot afford such expenses. However, there are cheaper alternatives on the IT services market that allow equally effective network monitoring and data security. 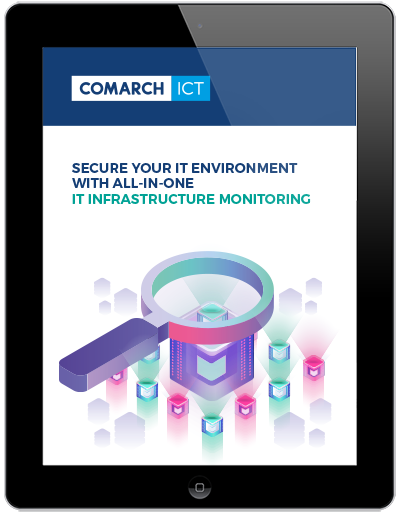 From the administrator's point of view, the best solution is to centralize IT infrastructure monitoring to a single management system. Do you have your business under control? Are your processes being monitored?